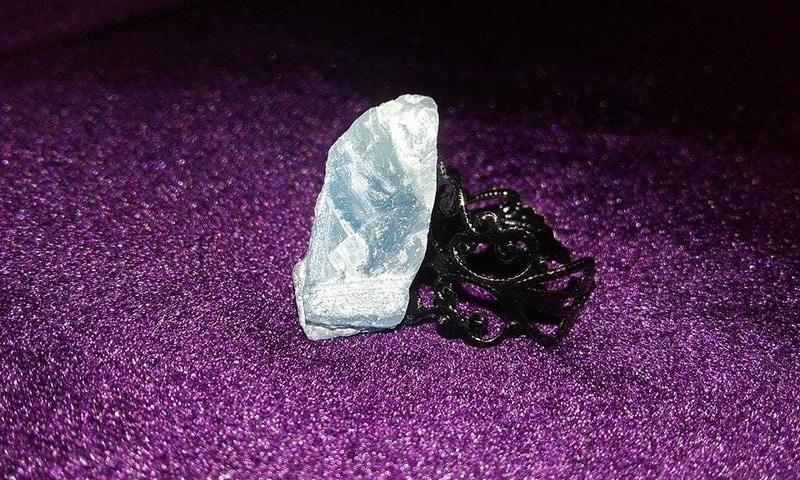 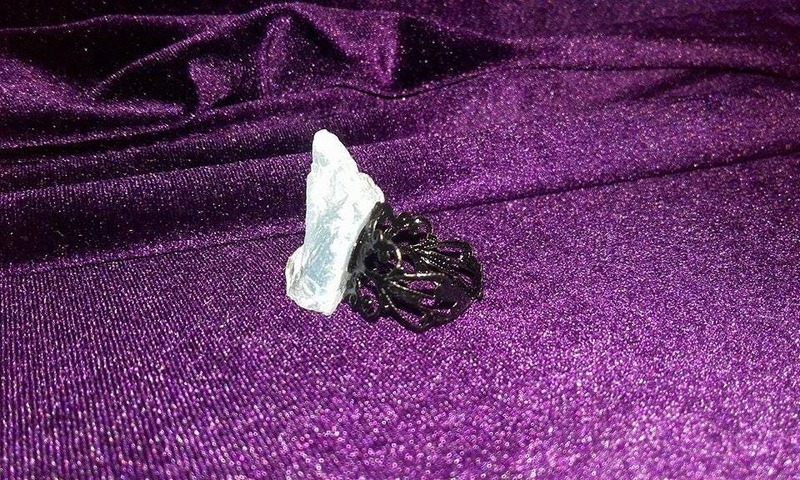 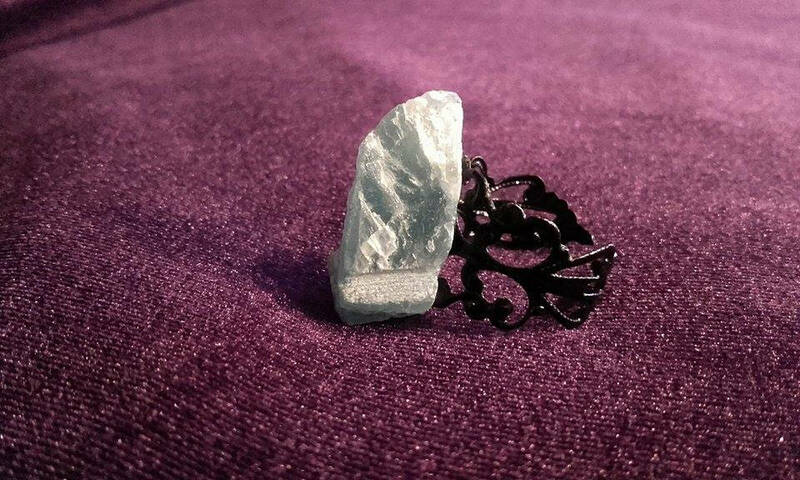 Ring with big chunk of Apatite. 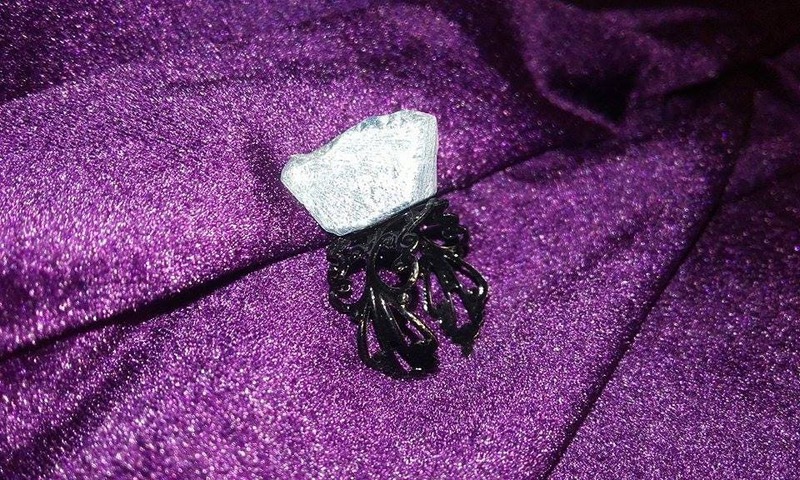 Metallic black ring adjustable to your size. 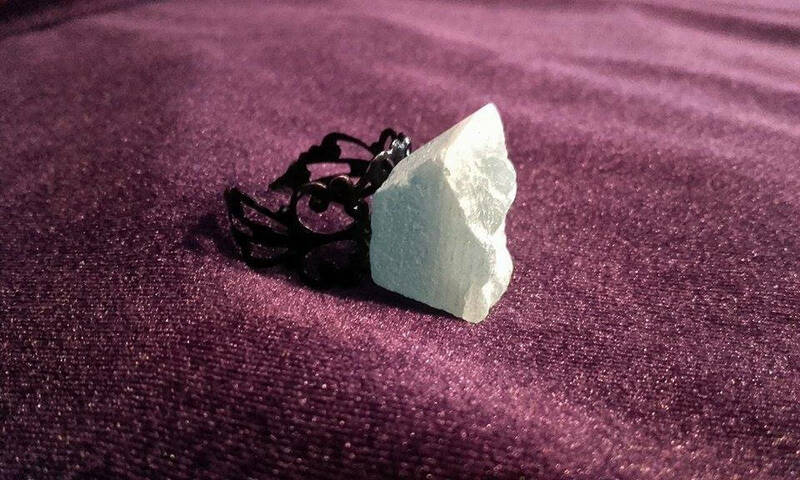 Raw chunck of Apetite gemstone. 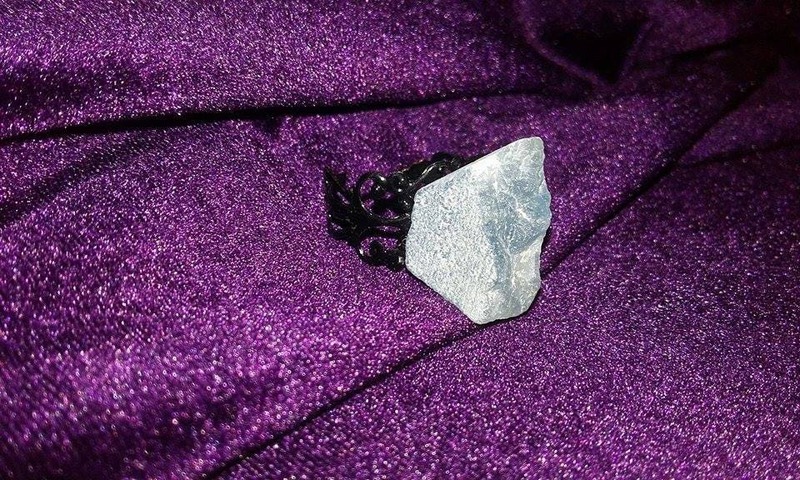 Blue Apatite is a deeply spiritual stone with a cleansing influence on the aura, especially in the mental body - the vibratory level associated with psychic perception and paranormal abilities. 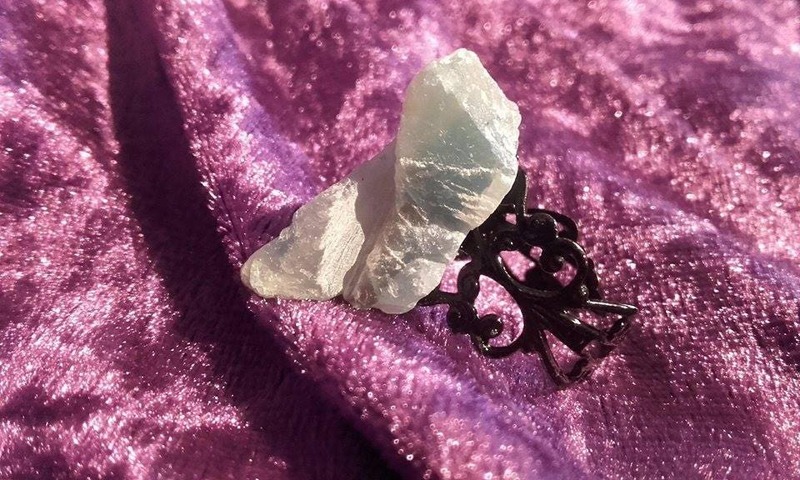 It is a particularly strong stone to use in past-life or alternate-life work, because of its ability to access the energy levels where the Akashic records and an individual's soul patterns exist. 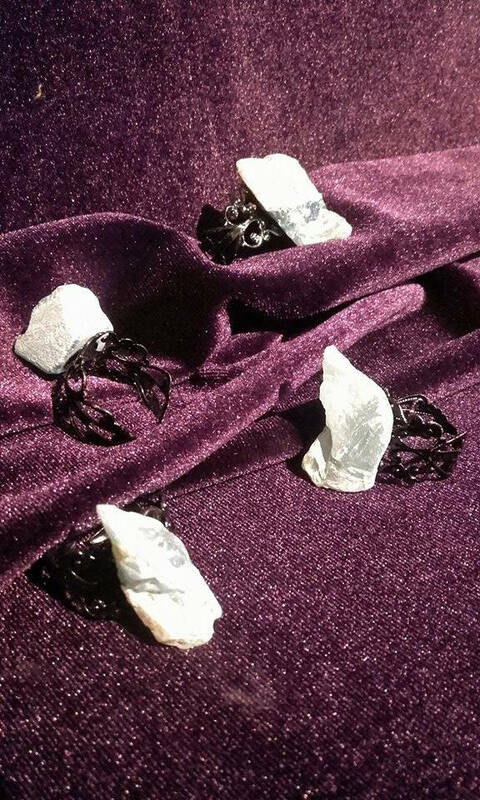 It is excellent as a dream stone for creative problem solving, and for vertical vision, where it is possible to see multiple levels of consciousness operating harmoniously and simultaneously. 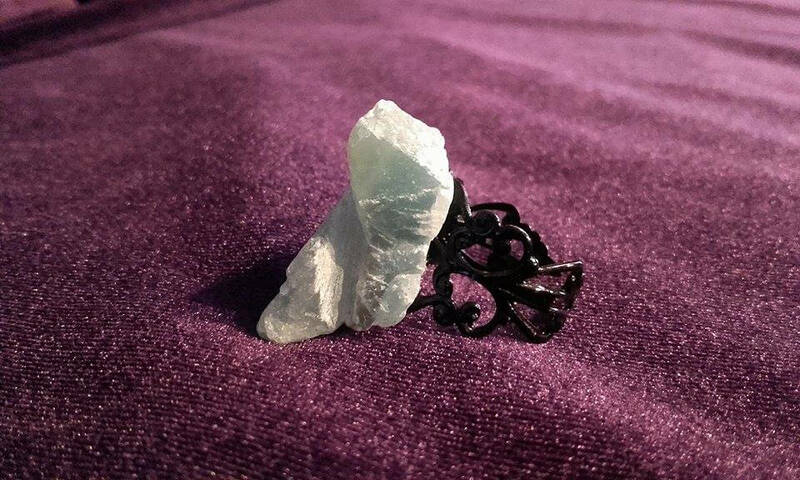 Apatite is an aid to stimulating clairvoyance, clairaudience, clairsentience, and awareness of the devic worlds. 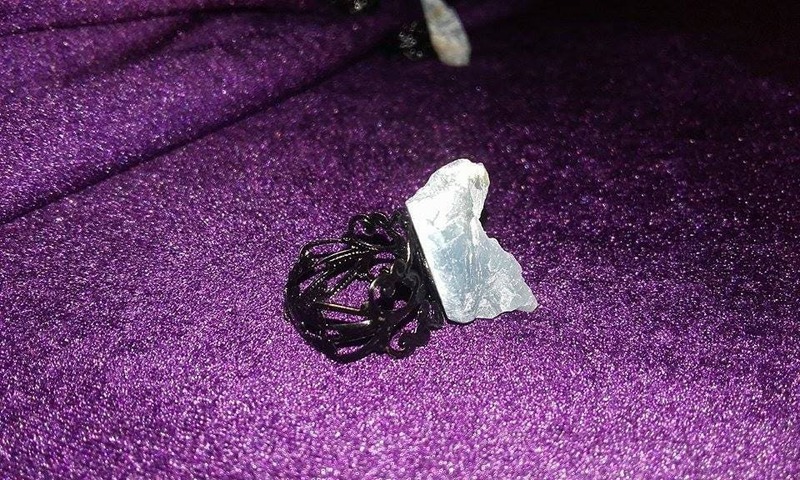 It can provide connection to UFOs, and access to past-life insights and telepathy.